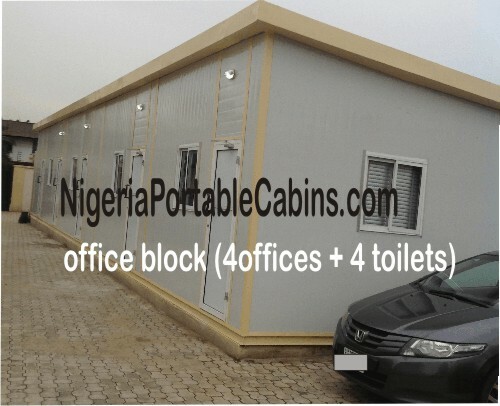 Portable Cabins For Sale Nigeria - Premium Portacabins. High Quality. We have premium portable cabins for sale. Our company manufactures high quality, durable portacabins for sale. 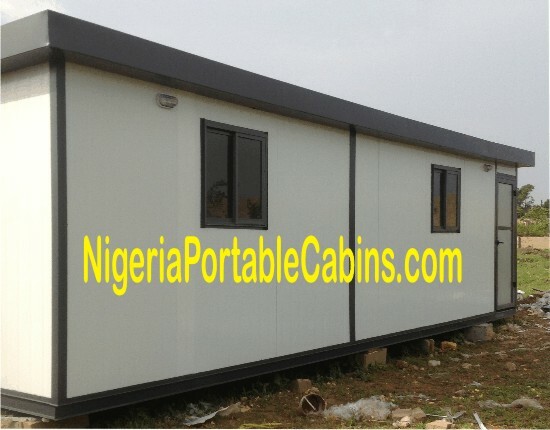 These portable cabins are manufactured at our factory in Lagos Nigeria and delivered to customers anywhere in Nigeria. Standard portacabins are portable cabins that have standard dimensions of length and width. 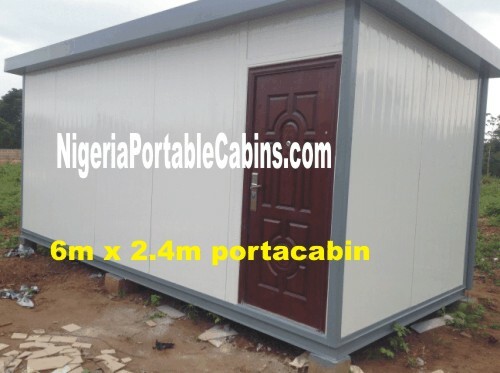 The second option of portable cabins available for sale are portacabins with custom dimensions. That is, portacabins with length and width as specified by the customer. For example, a customer may wish to buy a 7m long by 5m wide portacabin or a 20m long by 4m wide portacabin. On the other hand, another customer may prefer to buy a 34m long by 10.2m wide portacabin built as an office complex with several offices and rest rooms. Customer requirements vary from customer to customer. And our portable cabins manufacture service caters for all categories of customers. So, if you wish to buy one of our standard dimensions portable cabins, you're welcome to do so. On the other hand, if you're building an office block or an office complex and wish to order a specific dimension of portacabin that suit your needs, we will also manufacture to your specific needs. Ready to buy the specific portacabins you want? Alternatively, you can fill the form below to request a quote and send us an email.